Earth, the only place where life can exist, is fast losing its life-supporting ability due to ever-increasing negative changes brought about by human activities. Of the myriad reasons causing such a decline, an important one is pollution caused by the presence or introduction of such substances in the environment that harm the ecosystem, or have poisonous effects on life forms. Worldwide, research has proved that all forms of pollution pose a serious threat to biodiversity, and many instances of local extirpation/extinction of native flora and fauna have been documented. Ever-increasing human population has not only put pressure on natural resources but also has resulted in increased pollutants. The scientific and technological revolution has no doubt helped humans to advance at an unprecedented rate, but it has also quickened the production of lethal pollutants. One such example is plastic. Since its synthesis in 1907, plastic has become the most used synthetic material for varied purposes. Plastics are mostly chemical polymers and depending on their type, may be one of the following: acrylics, halogenated plastics, polyesters, polyurethanes, and silicones. Every human being has come in contact with and used plastic of all types many times. The production of raw materials that feed the plastic industry has increased from 2 million metric tonnes (mt) in 1950 to 380 mt in 2015, with as much as 7,800 mt produced, of which a little over half has been produced in the last 15 years or so. Manufacturing of plastic has outpaced other materials in the last 65 years, and the uptrend will continue in future. Research conducted by scientists from the University of California, University of Georgia and Sea Education Association in 2017 reports that approximately 6,300 mt of plastic waste has been generated as of 2015, of which around 9% had been recycled, 12% burned, and 79% was accumulated in landfills or the natural environments. The same study also predicts that by 2050 roughly 12,000 mt of plastic waste would be accumulated in natural environments throughout the world. Plastic has permeated everywhere from the environment to our bodies. 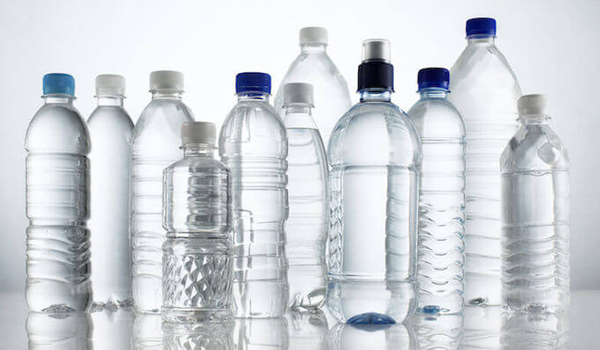 Bisphenol A (BPA) and phthalates — key ingredients of modern plastic, have been found from a trace to lethal quantities in numerous food items, potable water and even in our bodies. It is believed that if traces of BPA are not detected in your urine, then you do not belong to the modern world! As long as the dosage is below the threshold levels no direct harm to life forms can be detected. Not just the chemicals leaching out of plastics are the immediate threat, but owing to its nature of long shelf life, plastic also is a physical hazard to scores of living organisms both on land and in water. Ocean-dwelling animals are facing greater threat due to the large quantity of plastic finding its way into the seas and are causing imbalance and in some cases life threats to many species including scores of fish species, turtles, etc.